Cars have started being developed to save lives by talking to each other and to the infrastructure around them using communication antennas in a connected car concept. 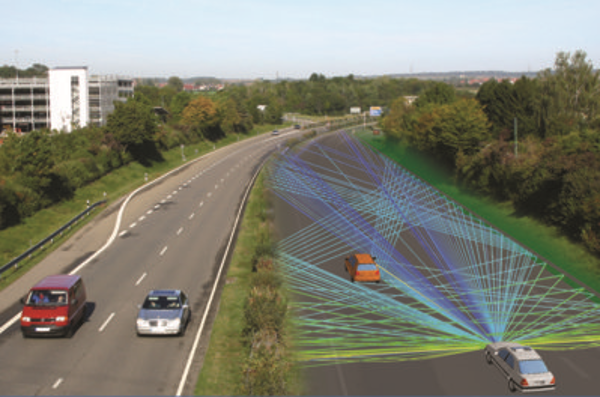 The automotive evolution towards the autonomous driving includes also ADAS radar sensors to be aware of surrounding obstacles. Both radar sensors and installed car antennas can be efficiently evaluated using virtual-drive tests in WinProp. This webinar will show how WinProp considers the full environment including buildings, cars, street objects in order to get accurate representations of the radio waves impinging on the installed car antennas and the multipath radar channels including reflections, diffractions and scattered contributions. For the efficient analysis the car objects can be also replaced by their corresponding radar cross sections (pre-calculated in Altair FekoTM). Thus allowing the realistic and fully reproducible evaluations of different options for the antennas and sensors including their integration and configuration. To learn more, fill out the form to the right to view the webinar! Plus, don't miss the rest of the webinar series "Advances in Virtual Drive Testing and Wireless Network Design"